Steve Mitchell – Lost: one soul, barely used. Reward for safe return. I went through a lot of change in 2018. Most of it painful. Not all of it negative. 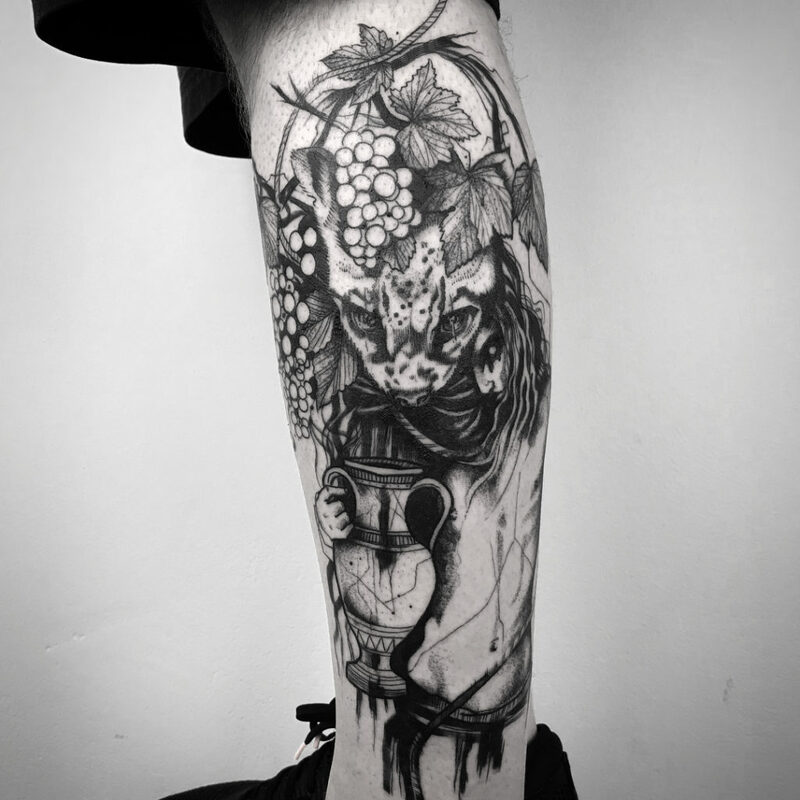 It’s difficult, looking back on that year, to really pinpoint any single focal, definitive event that stands out amongst the madness, but somewhere along the line I decided to expand on my tattoo collection, and turn it into a mission. I started the year with two tattoos; a couple of mandalas on my right arm and hand, which I’ve had for years now. 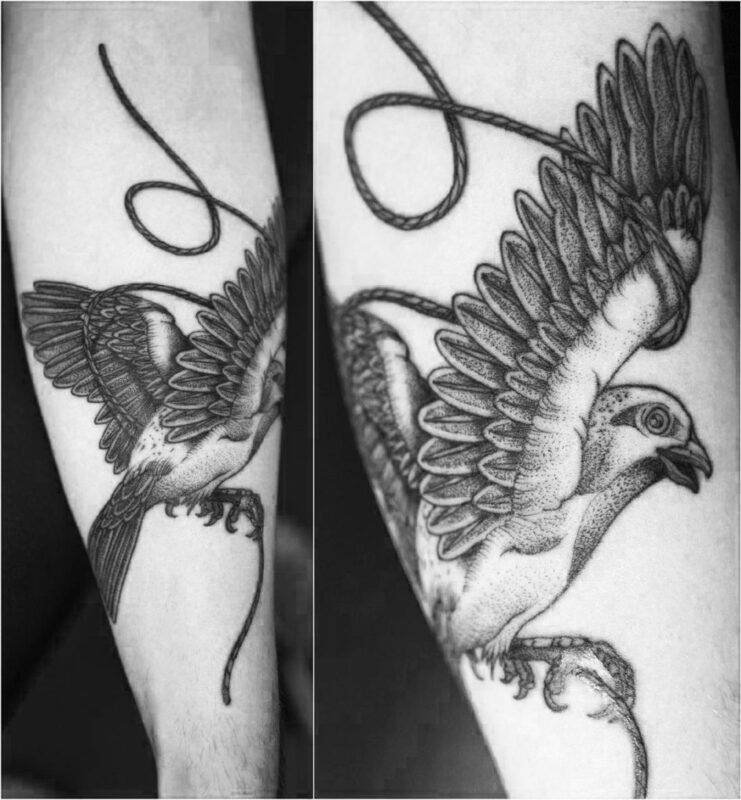 I loved them at the time, but over time their meaning faded for me, and I came to the awkward conclusion that, like most people’s first tattoos, I got them pretty much “because I want a tattoo”, rather than putting any deep thought into the process, and I didn’t want to repeat that mistake. I came up with a more cohesive approach this time around. Work with a few artists whose work really resonated with me, concentrate on a theme, and plan accordingly. Incorporate some travel into the equation. 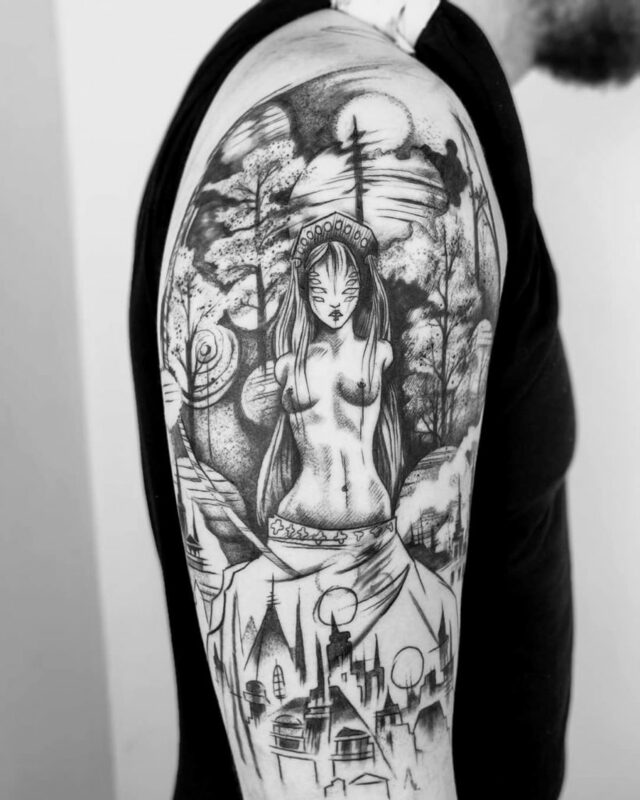 See the world, get art permanently injected into my skin. Go on adventures. This meant excursions to Berlin (where a couple of my best friends in the world live, so it wasn’t exactly a hardship) to work with Katrin and Laura, and trips to London to work with Maxime. 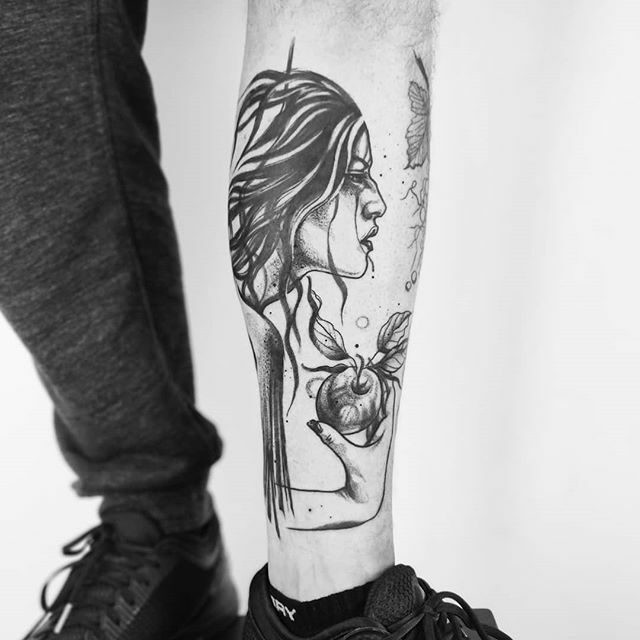 I’m aware that, for non-enthusiasts, talking about one’s tattoos can come across in a similar vein to describing one’s dreams – they seem vividly important to the person doing the telling, and can be excruciatingly dull for the person doing the listening. That said, I’m very proud of the 2018 decorative bodily harm experiment, and I’m annoyed at myself that I didn’t keep a written log of the experiences at the time. This is something of an attempt to start that log, somewhat belatedly, and get me used to writing again, something I feel like I’ve lost touch with lately. The overarching theme is of love and rebirth, the balance between stability and madness, and temptation. They’ve encompassed my relationships with my lovers, friends and family, and my beloved dog. They’ve captured and provided an anchoring point for my mental health, and they’ve given me a chance to take control of my body and mind in wholly unanticipated ways. It’s hard to see from most of the pictures, but each tattoo (except for the one of Salty) has a rope incorporated into it, so new additions to the collection can be tied in to form a larger narrative, and eventually become one single piece. I like the idea of a collection of stories telling a longer story over time, the meaning of each new addition subtly morphing those around it. This started in June. On my birthday, I got a notification on Instagram saying that Maxime had a last-minute cancellation the following day, first-come-first-served, and I managed (somehow) to beat everyone else to it. Having spent the previous few months meticulously planning and thinking about what I wanted and how to go about it, I was suddenly confronted with the first new addition of the year. Maxime is fascinating to watch, what he’s built with Sang Bleu is incredible to behold. And all of a sudden what had started as a vague mental itch that I wanted to scratch somehow became a much more focused journey. 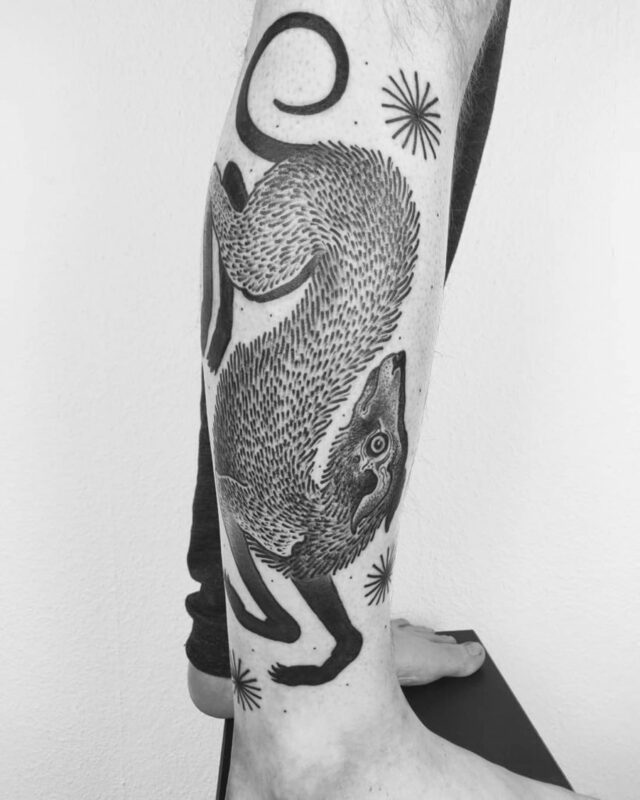 So I started asking around, and via my friend Nomi was introduced to Katrin, working out of Pechschwarz in Berlin, who then introduced me to Laura’s work. Serendipity at work. Berlin in the summer was gorgeous – this beautiful, anarchic city, buckling under the heat, providing escape from the chaos of the rest of the year in the form of a more concentrated, joyful madness. I’d just started my new job, and was working from Nomi’s apartment and the occasional cafe during the day, dissecting European politics, sexuality, music and culture in the evenings with a cast of characters too uniquely bonkers to describe accurately with just words. It’s no wonder I went back six months later and came home with even more art under my skin, along with more stories and stronger connections. Berlin gives me hope for the future. The one tattoo from 2018 this post doesn’t include is my torso piece, again by Maxime, partly because it’s not finished yet and partly because I’m self-conscious of my body. A more rigorous exercise regime this year will hopefully take care of the latter, while the former is being handled in August. Roll on 2019; another year of ink and adventures.